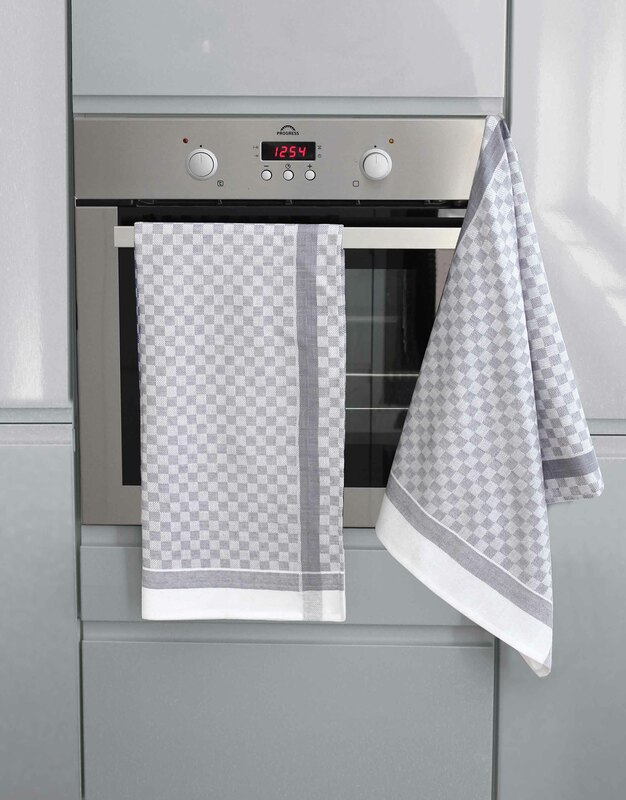 This dish cloth made of 100% pure cotton is extremely durable in everyday use. 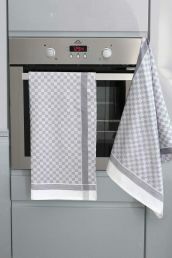 Regardless of how much it is used it is hygienically fresh after washing at 95 °C. 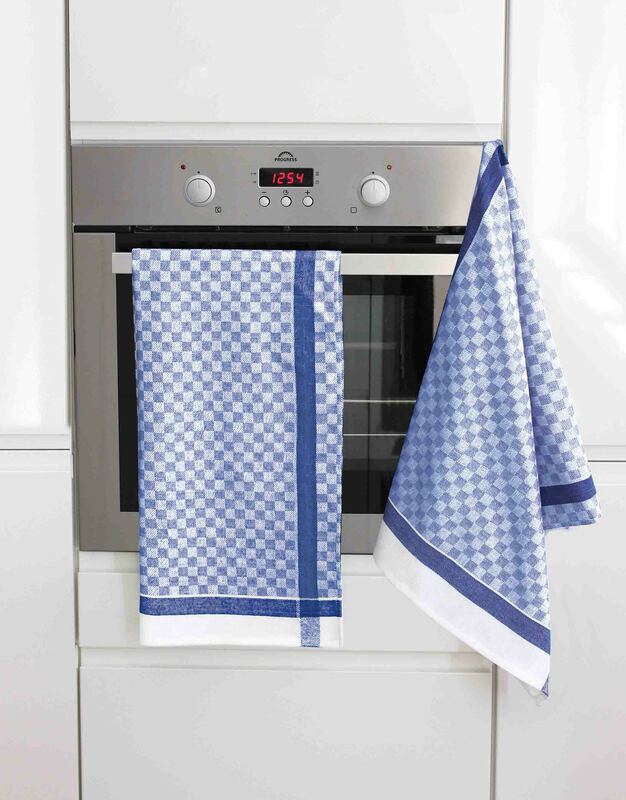 Naturally, it is also suitable for tumble drying and can be ironed at full heat. The dish cloth measures 50 cm in width and 100 cm in length and has a weight of ca. 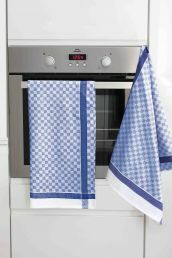 110 g. It is available in a blue or silver-checkered design.